Umagang Kay Ganda host Atom Araullo is set to star in his first full-length film to be directed by acclaimed director Mike de Leon. “I just couldn’t say no to Mike de Leon. 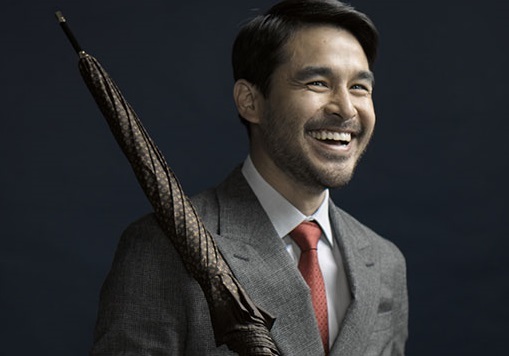 I am taking this leap of faith because I believe in his ability to produce films of exceptional quality that are always imbued with social relevance,” Araullo told the publication. Araullo said he is collaborating with De Leon on the "creation of the screenplay" along with writer Noel Pascual, helping shape the film's script and its message. “Our discussions have been rather intense, but enjoyable,” Araullo said. “Mike is a genius obviously, and I’m just trying my best to keep up." The director said that he is fast-tracking things to set up his production team before Christmas, with principal photography expected to be by March or April of next year.